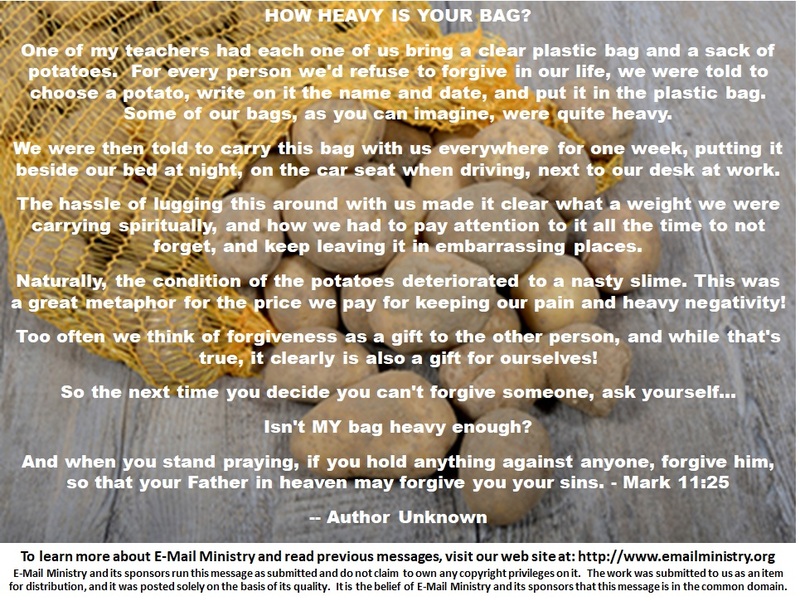 One of my teachers had each one of us bring a clear plastic bag and a sack of potatoes. For every person we’d refuse to forgive in our life, we were told to choose a potato, write on it the name and date, and put it in the plastic bag. Some of our bags, as you can imagine, were quite heavy. Too often we think of forgiveness as a gift to the other person, and while that’s true, it clearly is also a gift for ourselves! Isn’t MY bag heavy enough?